Gourmet Kulfi anyone? This place in Vashi serves kulfis in fruits! It is getting really hot in Mumbai as October heat has laid its roots. Well, we definitely need something cold to freshen us up and what better than gourmet kulfis to do that! Most of us love kulfi as it is a classic Indian dessert we're often indulging in this scorching heat. If you're bored of the normal Malai kulfi or the kesar pista kulfi, here's something interesting! How about kulfi stuffed inside an actual fruit? Well, Heem Cream in Vashi serves gourmet kulfis that are stuffed inside a fruit! To beat the stinging heat, they have a variety of kulfis, popsicles, fruit stuffed kulfis, and lassis to satisfy your sweet tooth. The fruits are infused with Kulfi with a certain flavour and are closed with flour on their base and frozen. It is then cut open and served as the normal fruit. The natural essence of the fruit remains and has an additional flavour of the kulfi with it. The fruit stuffed gourmet kulfis include Apple, Orange, Mango, Pomegranate, Kiwi, Apple, Mosambi, Dragon Fruit, Guava and more! You can also try the Rabdi Popsicles that too come in a wide range of variety like Imli Masala, Kala Khatta, Mango Delight, Berry Punch and many more. 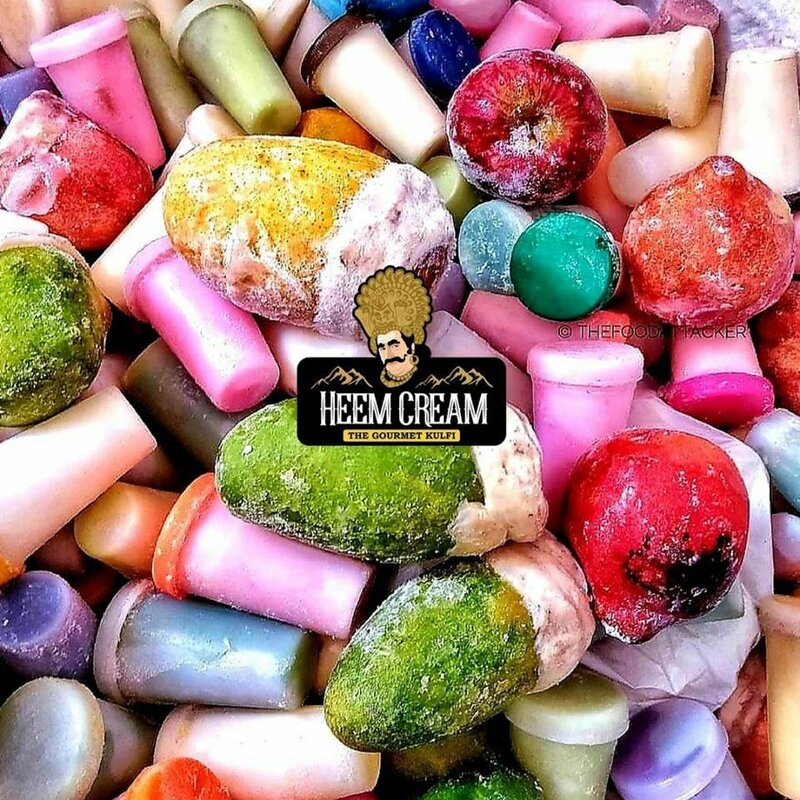 If you're sick and tired of the heat in the city and need something succulent to freshen your mind and satisfy your sweet tooth, head to Heem Cream for a range of cool options! When Kulfi Meets A Waffle, You Get This Quirky Dessert!